An update (with pictures) on our Sedona trip is coming- I promise. 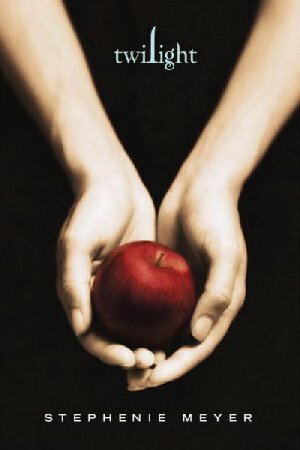 But I just finished my stint on the bandwagon last night and finished Breaking Dawn, the last book in the Twilight series that everyone (in UT, it seems) is obsessed with. I’m still perplexed about how I feel about the series. You dear readers are the lucky ones who join me on this journey. Lucky you. (You could always just stop reading now and wait for something more interesting). So first of all I’m going to take my life into my hands and say that Stephanie Meyer (the author) cannot write. Period. I’m amazed that people like her or the dude who wrote the abomination that is Eragon actually not only get published but popular. The only thing I can think to blame it on is the decline in reading in general and the degradation of society in general- our standards are just low. As far as SM’s writing ability, I’d say she is on par or a little worse than Gerald Lund and the Work and the Glory books (I know- how dare I question the, um, glory of those books- aren’t they scripture now?). That being said, I think she is a good storyteller. With the exception of the last book Breaking Dawn, her plots were suspenseful and believable (well, as believable as can be when there are vampires and werewolves involved…). She has a gift for fleshing out her characters and making them real, for the most part. That actually becomes a fault, though, when you realize that her books are all about 200 pages too long. While I was reading, I found myself engrossed and interested. It wasn’t until after I put the book down and thought about it that I realized how bad some of it was- that is saying something I guess. The first thing that bugged me was the obsession the author had with the perfect, stone, amazing, beautiful vampire-dude Edward. By about the middle of the first book I was so tired of the repetitive descriptions of how beautiful, perfect and angelic he was. I wanted to scream “I GET IT- I’M NOT A MORON!! I CAN REMEMBER THAT HE IS REALLY GOOD LOOKING FOR MORE THAN 3 PAGES- YOU DON’T HAVE TO REMIND ME ALL THE FREAKIN’ TIME!!!”. The next thing that bugged me was that I hated the main character, Bella. To SM”s credit, I suppose she wrote a character that was “real” enough for me to hate. But Bella is such a moron- seriously. She literally doesn’t do anything except spend time with her boyfriend and pine for him when he isn’t there. She doesn’t do anything! And Edward, the vampire boyfriend is like an abusive boyfriend. I think we are supposed to say “AWWW he’s overprotective” but I just thought- what a patronizing jerk. I read a blog/review that said it best: “I’m done wincing at her creepy relationships (Meyerville: where the men are borderline abusive and the women love to take it). The thing that freaks me out about the whole thing is that so many women are in love with Edward and their relationship is the big draw for them. They seem to envy it and to me, there is nothing but creepiness there. Then again, I’ve always been the type of girl who is looking for someone to love me and be a partner and equal through this crazy journey of life- not a father figure or someone to “take care of me”- especially not in a creepy abusive-boyfriend way. Thank goodness I found DMP and not a creepy vampire- he’s perfect!!! So, at the end of the day (and this mostly rambling post) I’m going to cheerfully ebay my copies of the Twilight books and never look back. I don’t regret the time spent reading them. They were fun “fluff” and it was interesting to see what the fuss is all about (and laugh at the awful writing). I don’t know that I’d recommend them to a friend, though without having them read this post first. I’m certainly not going to preach their awesomeness from the pulpit in Testimony or RS. Now I feel like I have to “scrub out my brain” by reading something that is well-written and won’t make me feel like my brain is sliding out of my ears. Any suggestions? I I just finished the Midway book club book, Water for Elephants. I thought it was very good. I liked it for lots of reasons but the historical info. about traveling circuses was intriguing. The adult situations were in the context of the story (“coochie” ladies on the circus train etc…not just for sensation to the story). Someone read it and we can have a good conversation. August 8, 2008 at 8:00 pm. Permalink. I haven’t read those books, but I did see all the spoilers for the last one, it seemed a little odd. And I had heard that her adjectives were a little redundant and all Edward does is ‘sparkle’ and stuff. And a few of my friends were disappointed with the last book. Personally, I’m never going to read them. I’ve got a heavy prejudice against vampires. I admit it, they freak me out and I don’t like reading or watching them. As for another book, I heard the newest Artemis Fowl book is out, have you read that series? If not, then do it. But start from the first book. If you have read them, then this new one is a great way to scrub your brain. Or have you read the Keys of the Kingdom series by Garth Nix? Another great series. August 9, 2008 at 8:36 am. Permalink. I have a few of the Artimis fowl books and I really like them. Thanks for reminding me of them. I also have the first two Keys of the Kingdom books so I’ll read them, too. August 9, 2008 at 4:05 pm. Permalink.